East Coast FM has joined forces with the Wicklow Sailing club to give one of the country’s biggest sailing events a face lift. The Wicklow Sailing Club which is the home of the world famous Round Ireland Yacht Race will host The East Coast FM, East Coast Regatta, a new annual event which is open to all clubs along the East coast. The main event races will take place on Sunday the 2nd of August while feeder races will be held on Saturday the 1st of August. Rear commodore sail David O’Gorman says the new annual regatta is part of the Wicklow regatta festival, which is Ireland’s oldest festival and sees East Coast FM as its main sponsor for the regatta. Co-sponsorship of the regatta is being provided by Yacht Agencies Ireland Limited, the main suppliers of all sailing and marine equipment for the event. 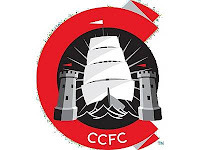 Apart from the sailing there will also be a full programme of entertainment on shore at and around the club house with live music on Saturday evening, with the East Coast FM road show out in force on the Sunday. Bray Wanderers travel south this week to take on Cork City in the League Of Ireland Premier Division on friday 31st July in Turners Cross Kick off 7:45pm. This could be the Rebel Armys last game in the League if they fail to come up with the €437,000 they owe to the Revenue Commissioners by the close of business tomorrow evening (Friday 31st July). Team news for Eddie Gormley's Seagulls is as follows: Bray will be without four first teamers for the trip to Cork on Friday night, Gary Mc Cabe is suspended having reached four penalty points and long term injury victims Chris Deans (heel), and Paul Byrne (knee) will miss out for the fourth week in a row and Shane O'Neill who injured his ankle early on in last weeks game has been added to the absentee list. Otherwise Eddie Gormley has a full squad to pick from. Log on to East Coast FMs Website and identify 3 Leinster Rugby players that are hidden in the website. 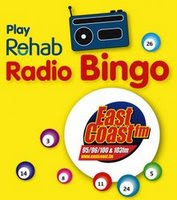 When you have found all three players email win@eastcoast.fm with the name of those players plus your contact details. All correct entries which are received before Monday September 7th 09 will go in to a draw,to win The Official Commemorative DVD of Leinster Heineken Cup 2009 Champions of Europe plus The Official Leinster Rugby Supporters version of Molly Malone with The Harrington Brothers. Win The Official Commemorative DVD of Leinster Heineken Cup 2009 Champions of Europe on East Coast FMs Website plus The Official Leinster Rugby Supporters version of Molly Malone with The Harrington Brothers. Fittingly in Ireland's Grand Slam year Leinster led by brave hearted captain Wicklow man Leo Cullen and inspired by Brian O' Driscoll. Leinster finally landed European rugby's greatest domestic honour. Play the memory game for your chance to win. Join Laura Wood on the Morning Show just after 10am, when she will get advice on planning a wedding on a budget. Hear low cost ideas on making your day a very special one, get tips on keeping the cost down on flowers, food, music and flowers, hear how to lose weight the healthy way and achieve that perfect wedding body and get practical advice on choosing the dream dress without breaking the bank, all this and more on the Morning Show on East Coast FM just after 10am. 50:50 FRIDAY IS ON AGAIN! 50:50 Friday is on again this week. This time we have half-price vouchers for Dunboyne Castle Hotel & Spa. Make sure you're quick off the mark this Friday morning at 9am, to get your hands on one. When they're gone, they're gone! For more see our 50:50 page.